Blue Dart Shipment Integration extension for Magento2 is the smartest way to let your customers check the availability of Cash on Delivery option for a particular region or the Total Price of the order. 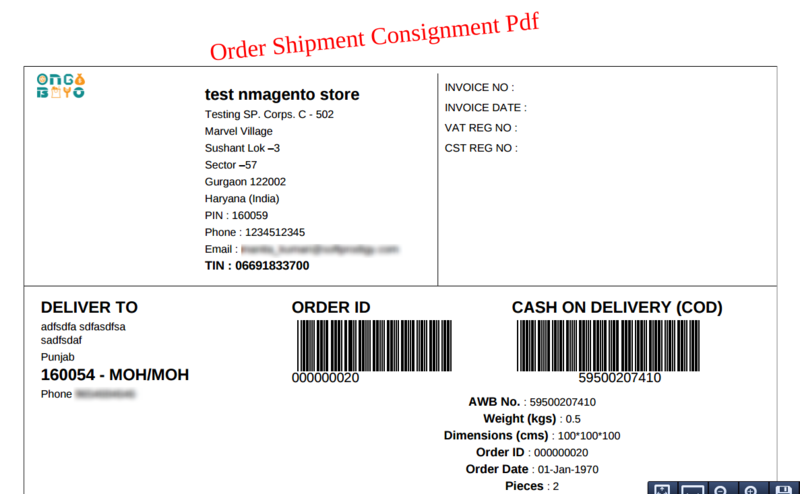 A PDF, including product and user details, is sent to the sales department for every sale. Customers’ choice to buy a product is based on many factors, including store credibility, product pricing, and above all the availability of Cash on Delivery. Most shipping companies offer the option of cash on delivery for online shoppers to reinstate their belief in the store from where they are making their purchase. Following the strong positive feedback base, timely delivery, and many other reasons, Blue Dart Company is chosen as the shipping partner by a number of online stores. 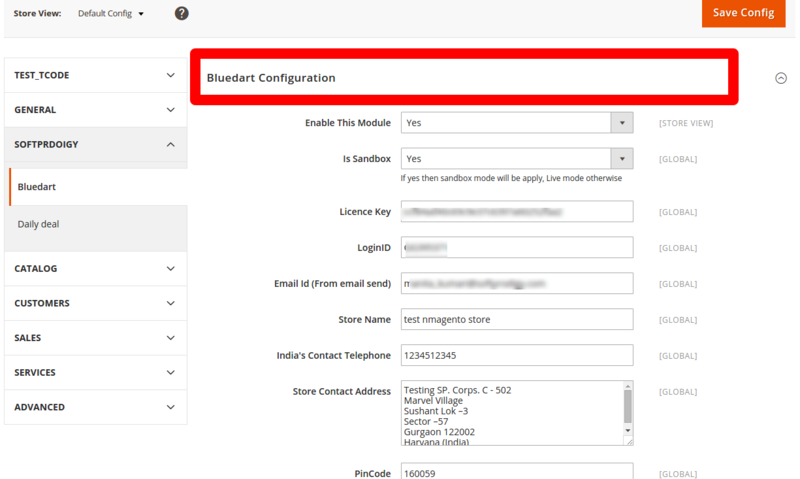 To help your customers know if they are eligible for the benefit, we bring to you a right solution- Blue Dart Shipment Integration extension for Magento2. This robust extension helps to generate a remarkable customer shopping experience by permitting them to check for an accessibility of COD option in the region. It’s a must-have feature for every e-store as people look for the cash on the delivery option before they place an order. Sometimes it’s the only base of their decision-To buy or not to buy a product. This extension is designed to let store owners make it easier for online shoppers to check the availability of COD in their region and for a product. Customers can enter the pin code where they want the product to be delivered, and this extension gives information about the option available to the user. Once the order is placed, this extension generates a PDF which is sent to the sales department for further process. The PDF includes all the details related to the buyer, product, company and order ID of the products in the form of a barcode. Blue Dart team can then scan the ID of the product when the order is received and then carry out order tracking. 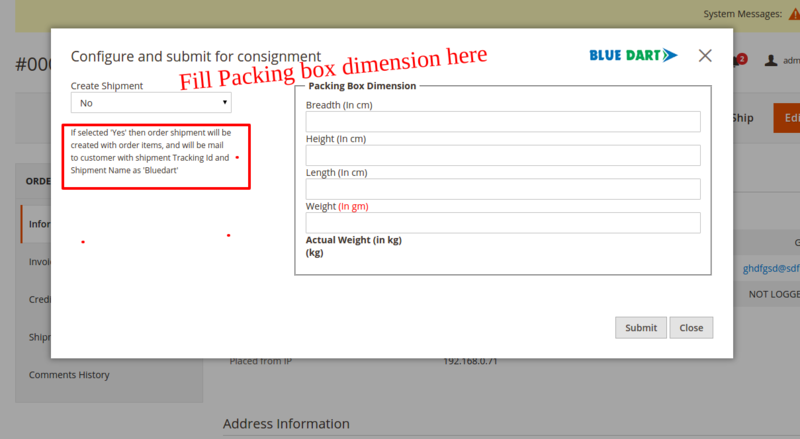 > Create Shipment for order if you want then shipment will be generated with AWB number and will mail to Customer. Cash on Delivery is not available in every region, but only some selected ones. The discretion for determining the regions where COD is available is to be made available is on the Blue Dart Company. With this extension, it’s easier for the online shoppers to check whether or not the option is possible for the user’s purchase. People prefer to check if the Cash on Delivery option is available in their region before making a purchase. Blue Dart offers COD option only for the products that are priced in a particular range. This extension makes it possible for the buyers to check if they are eligible for the Cash on Delivery by entering the price of the product they are buying. Note: Extension can only be integrated by stores that have partnered up with Blue Dart for shipment of their products. The module is exactly what it states it is and functions great. Bug reports or customization are no issue and the support is good with a good response time. This extension is very useful for cash on delivery payment option.These people provide great facilities in this extension. Great work guys. Really appreciable extension. It never hampers my website's performance and the Shoppers can easily check cash on delivery availability without moving to the checkout page. Ever since i installed this extension, i can see more people enjoying shipping with us. This extension makes available COD check easily. I installed this extension with the help of technical experts of the team and it is now working perfectly. COD check is now a minute's task for the shoppers. This is the right Magento extention I was looking for to integrate cash on delivery and estimated delivery option for the end users. The PDF generation for orders is super quick. I got many recommendation to integrate the same cash on delivery check feature on my website but couldn't find the best extension. This one from softprodigy was quite impressive and the features are also satisfying. I would highly recommend this one for the e-commerce store owners in India. I have been planning to integrate check cash on delivery feature on the website but this extension saved a lot of my efforts and funds as this is something that i have been looking for and it is working perfectly well. Purchased this extension from soft prodigy and it was such a smooth experience ti install that I didn't face a single issue. It works better than any other product available in the market. COD check is super quick with this . Recently I installed the blue dart extension and the results I have achieved are simply amazing. Online shoppers are enjoying the COD check feature.